Recently, my family took a trip to Florida to visit Gaga, my kids’ great-grandmother. Last spring, Gaga had a fall that has led to a tremendous change in her physical abilities and her life in general. She went from being a woman who played cards with her friends five days a week, to someone who mostly stays home and, lately, who spends much of her time in bed. Despite this, she has the same heart and spirit that she always has and was as eager as ever for us to come and visit. Because my five-year-old feels so close to Gaga and my toddler is too young to recognize the changes that have occurred, I didn’t think much about preparing them for this visit. It took me by surprise, therefore, when my older child had some strong feelings about the changes she was seeing in her beloved Gaga. My daughter’s reaction helped me to recognize that I could have done a bit more prep work before our visit. I learned a lot during those three days. 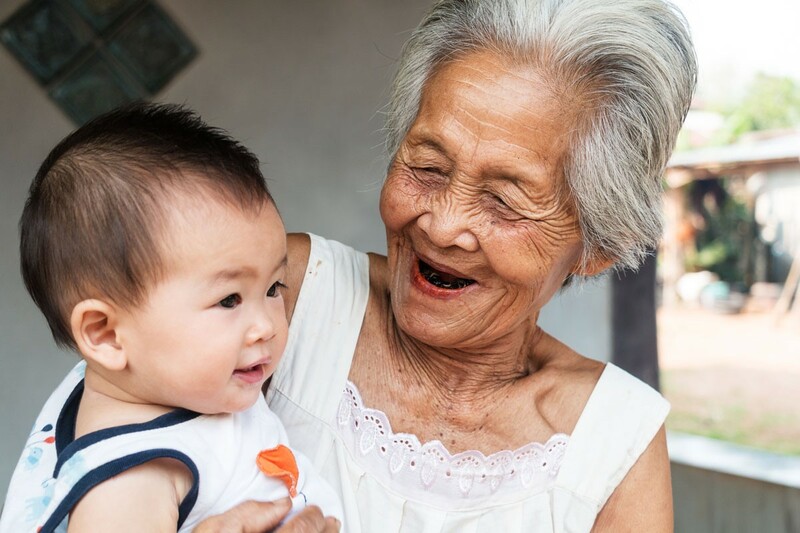 Here are 10 tips -- some that helped us during our visit and others that I wish I’d thought of ahead of time-- for helping kids feel at ease with family elders, especially when that loved one has experienced a significant change in functioning. Bring “bridges.” Games, art supplies, books, etc. Let your kids do what they like to do but with the relative they are visiting. During our visit to Gaga, my daughter Gia handed out paper and colored pencils to everyone in the room (there were a bunch of us), and I suggested making a group drawing. Each subsequent visit, Gia led us in a different coloring activity. It kept everyone busy and engaged and inspired. Get close. When we got there, I modeled for my kids that it was OK to get close to Gaga by sitting down on the bed next to her. She invited the girls to come over, and I helped them hop up on the bed. This won’t work for everyone because of physical-pain issues, but Gaga was comfortable and happy to have the girls within reach. Encourage curiosity. Gia had a lot of questions for Gaga: “How did you fall?” “Why do you need to lie like that?” “Do you stay in bed all day?” “Do you eat here?” Gaga was happy to answer her, and I was there to help put it in five-year-old terms. As much as possible, get out of the way. The goal here is to allow your children to establish their own relationship with the elder loved one, and vice versa. You are there to facilitate this, not to force it. Step back and let them find their own connections. Prepare ahead of time. This was the big lesson for me. Start a few days or even weeks before a visit with a loved one whose condition has changed. Talk about what has happened and what your children can expect. Talk about the things that haven’t changed—such as how much the elder person loves them and how much he or she is looking forward to seeing them. Normalize. Help your children understand that the changes that often occur when people get older are normal and to be expected. It is equally important to normalize your child’s reactions, fears, and worries. Debrief. Check in with your children after the visit. Ask them what they enjoyed about the visit. Ask what they noticed about the person they were visiting. Ask what they think their loved one enjoyed about the visit. Ask if they have anything else they’d like to ask or share. Keep expectations realistic. Maybe you flew hundreds of miles (and spent hundreds of dollars!) to make the visit happen. Maybe you used to spend hours and hours together. Now your loved one gets sleepy after an hour or so, or your kids get restless because there’s no space to run around. At this point, time together is all about quality. Let go of what it used to be, and embrace what it is now. Stay in touch. Phone calls, FaceTime, letters, emails—whatever method you use, facilitate ongoing contact between your kids and their elder family member. Every few months, we print a recent picture of the kids and send it to Gaga. She always calls us when she receives them, and the photos serve as a springboard to share stories about our children’s lives. Spending time with elders, especially those we love, is an essential part of the human experience of interconnectedness. Aging is a fact of life, and older people have so much wisdom, insight, and perspective to offer. With a little preparation, visits between the youngest and oldest members of your family can be joyful, inspirational experiences.